With Maersk determined to pursue a low sulphur fuel future, eshewing scrubbers and LNG when the global sulphur cap comes into force on January 1, 2020, Splash has learnt of the 2020 bunker policy of another of the world’s largest shipping lines. 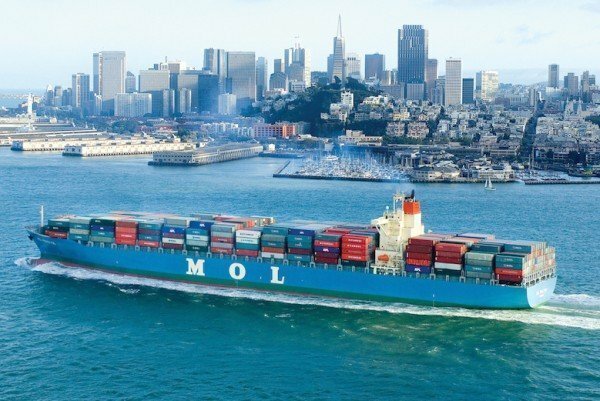 Mitsui OSK Lines (MOL), the largest shipping line in Japan, operating more than 900 ships, has decided to avoid LNG as a fuel for its cargo carrying fleet. MOL’s decision runs contrary to Japan’s two other shipping majors, Kawasaki Kisen Kaisha (K Line) and Nippon Yusen Kaisha (NYK), both of whom have committed sizeable resources to developing LNG infrastructure at home and abroad as well as contracted LNG-powered newbuilds. MOL has a tug with an LNG-fuelled engine under construction at Kanagawa Dockyard for delivery in April next year. In February this year, MOL won a long term charter contract from Total to run a LNG bunker vessel in northern Europe. The 18,600 cu m vessel is due for delivery in 2020. MOL has been well prepared for retrofitting a portion of its fleet with scrubbers, signing an agreement with Wärtsilä and a couple of local yards in June 2016. Earlier this week Maersk Line, the world’s largest containerline, said it has estimated its fuel bill will rise by at least $2bn after the introduction of the global sulphur cap on January 1, 2020. Maersk has been vocal in its opposition to scrubbers and has also not signed up for any LNG-fuelled ships. Maersk and MOL are the third and second largest shipping companies respectively by fleet value, according to data from online pricing portal VesselsValue. The world’s largest shipping conglomerate, China’s Cosco, said during its interim results yesterday that the company would continue to look at the use of scrubbers. A Cosco shipyard in Dalian has recently signed an agreement with Mitsubishi to manufacture and install the Japanese company’s unique square scrubbers.